David Brandmsa was inspired to write this book after working with refugees from Burma in Malaysia. He wanted people to learn about and understand the situation of refugees who first have to flee their homes and their country, but then face terrible new challenges as illegal immigrants. Most attention on refugees from Burma has focussed on those in Thailand. While there are a few reports by NGOs and academics on the situation of refugees in Malaysia, it generally receives very little attention. This is the first fictional novel which highlights this issue. This is David Brandmsa’s first novel and its shows. There is little character development and conversations are stilted. Nevertheless, its does achieve what is set out to achieve, drawing attention to the terrible experiences and abuse that refugees from Burma suffer in Malaysia. The experience of some refugees reads more like something from a Japanese prisoner of war camp in WWII than how you would expect refugees fleeing a brutal dictatorship would be treated. It is truly shocking. This book is an eye-opener and for that it is worth reading. There simple isn’t any other book out there like this. 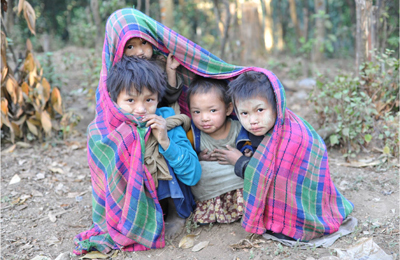 Shop at Amazon and help raise money for Burma Campaign UK. Buy any item on Amazon via our website and BCUK will receive a percentage of what you pay. Just click on the Amazon link above.